Now open on Saturday from 9 a.m. to 5:30 p.m. - Call us to speak to an expert! 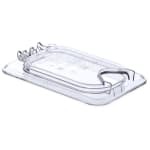 Get greater convenience and a longer life with the Carlisle 10339Z07 EZ Access ninth-size food pan lid. The lid is designed to fit snugly into the pan, ensuring it will stay in place during use, and can be opened with the simple flick of a wrist. 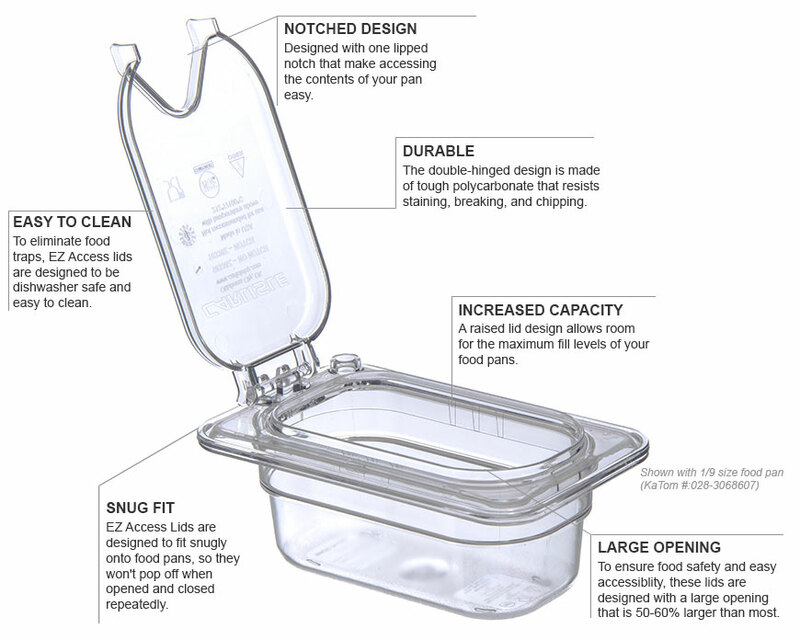 It has an opening that is 50 to 60 percent larger than is typical, allowing for easier access, and its sunken design ensures the full specified capacity of the pan can be used. 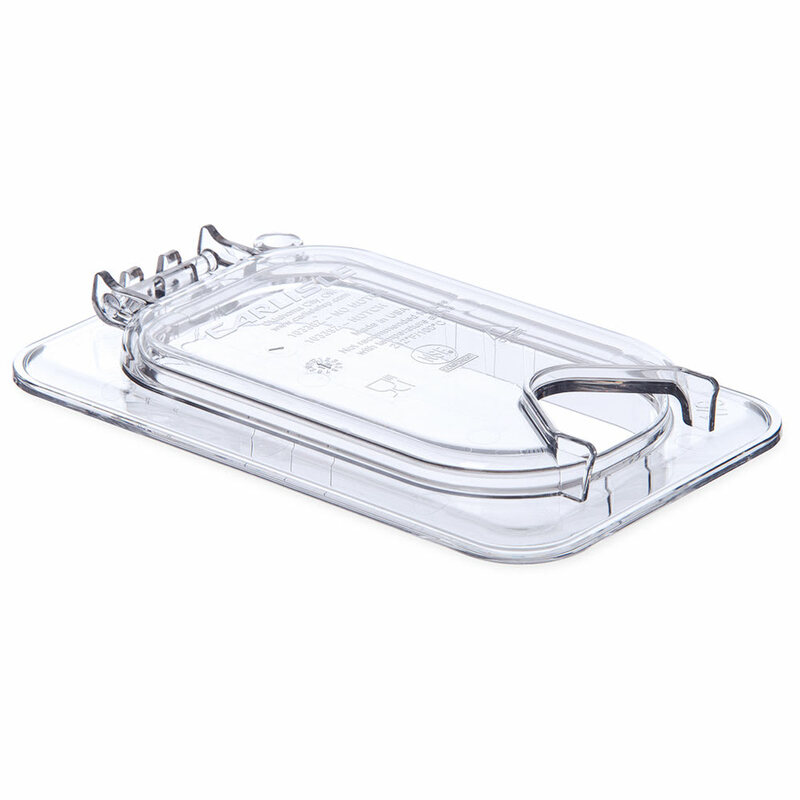 It is also easy to clean, with none of the food traps common on hinged lids and the ability to go through the dishwasher and be hung for drying and storage with the molded-in peg hole. The notch opening allows for serving utensils to remain in the food pan when the lid is closed. The Carlisle 10339Z07 universal ninth-size food pan also stays open when needed, allowing for easy, one-handed access.